deCOALonise – Time to deCOALonise has come! Time to deCOALonise has come! We are living in one of the most thrilling moments as a movement, organisation and region. Building on years of mobilising, organising and campaigning for climate justice, we are truly excited to launch deCOALonise.africa. A campaign inspired by the growing number of African communities and organisations fiercely resisting coal infrastructure across the continent. The political independence of African nations in the ’60s brought hope, excitement and a sense of liberation for many. However, that moment was followed by wars, dictatorships, tears and various forms of oppression — a completely different picture from what many Africans had envisioned. Africa is yet to realise its full potential. Not because it’s deprived of natural resources, infrastructure or hard working people. Africa’s growth is hindered by poor leadership and bad choices which have led to the current status quo. These bad choices are made by political leaders in the pay of certain multinational corporations and foreign states whose sole interest is profit. This has created a situation marked by poverty, socio-political instability, and continued energy scarcity — leaving 6 out of every 10 Africans without access to electricity. Current energy models, based on fossil fuels and traditional biomass, aggravate the social, economic and environmental constraints on a continent which is already the most vulnerable to climate impacts. Now foreign companies and state-backed institutions are participating in another scramble for Africa — not carving out nation states, but fighting over the lucrative contracts to provide energy to the continent. The new “coalonists” see Africa as a dumping ground for old, dirty energy production technology — chiefly coal. This is the “coalonisation” of Africa. Africa doesn’t need fossil fuels to tackle its growing energy demand. Africa needs double action: halting the proliferation of destructive fossil fuel infrastructure and accelerating the implementation of renewable energy systems to transform the livelihoods of millions of Africans. That’s why we are launching deCOALonise.africa to stop the development of coal infrastructure through strengthened organising and community resistance and international solidarity, and to focus on the just transition to 100% renewable energy for our communities, cities and countries. 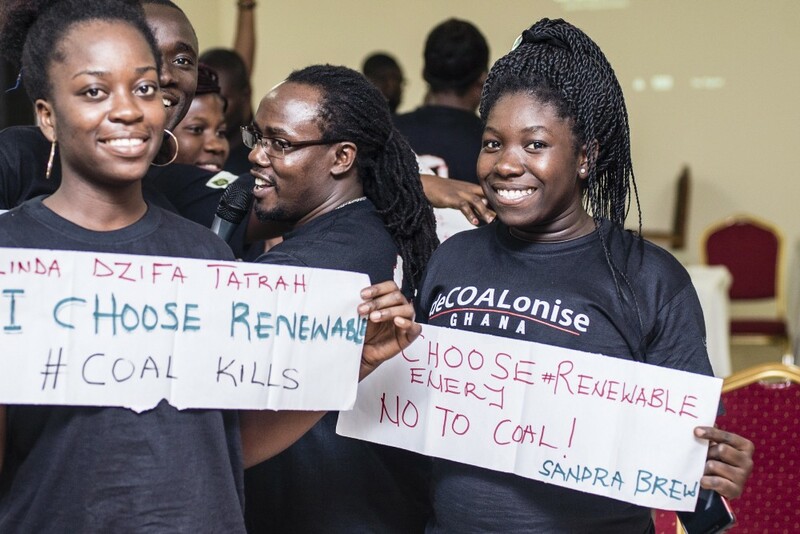 Starting from Ghana and Kenya where communities are rejecting the recently proposed coal plants, deCOALonise.africa is reaching out to various anti-coal and pro-renewables organisations, groups and coalitions across the continent to join this platform offering a united regional wave of grassroots energy and action. We know that thousands are concerned about the intense and frequent climate impacts observed across the continent. Some are already taking action and others are ready to take action in their respective communities, cities and provinces if they are given a platform and supported to create a strategy and plan of action. 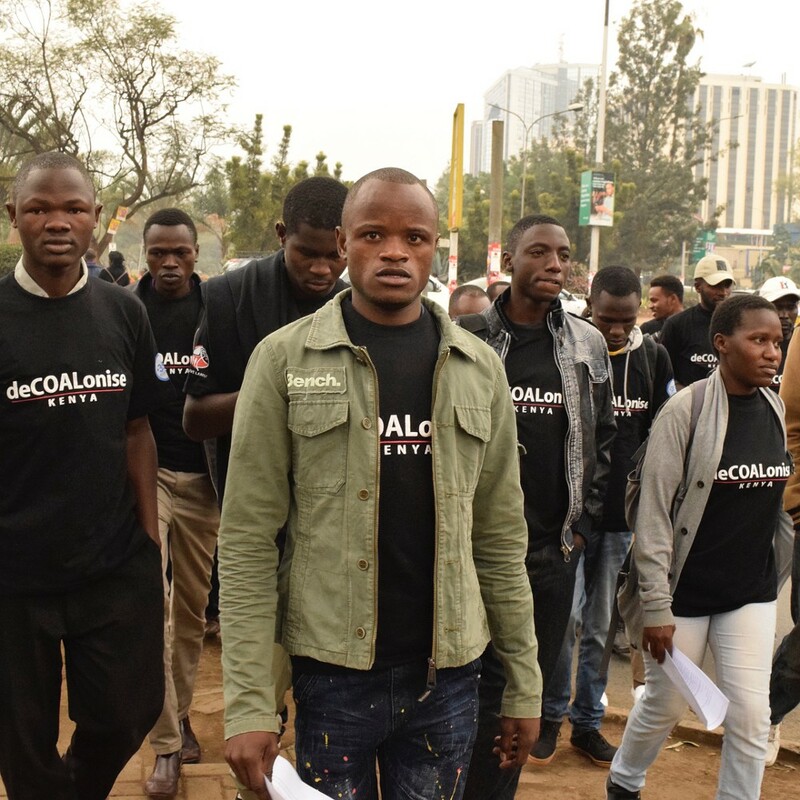 That is exactly the raison d’etre of deCOALonise.africa, which offers a variety of services for action: from learning and sharing experiences, supporting and amplifying the existing campaigns, building solidarity and networking, the platform will provide different ways in which people can get involved. The time to deCOALonise.africa and move to clean, renewable energy is NOW.